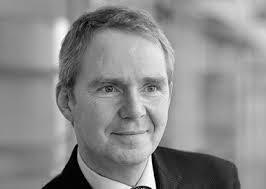 Sir Nigel Shadbolt, Professor of Artificial Intelligence at Southampton University, believes in the power of open data. With Sir Tim Berners-Lee he persuaded two UK Prime Ministers of the importance of letting us all get our hands on information that’s been collected about us by the government and other organisations. But, this has brought him into conflict with people who think there’s money to be made from this data. And open data raises issues of privacy. Nigel Shadbolt talks to Jim al-Khalili about how a degree in psychology and philosophy lead to a career researching artificial intelligence and a passion for open data. Plenary talk from the First Global Conference on Research Integration and Implementation: “Some Assembly Required: Networking and Team Science for the 21st Century.” Recent technological advances provide comprehensive digital traces of social actions, interactions, and transactions. These data provide an unprecedented exploratorium to model the socio-technical motivations for creating, maintaining, dissolving.